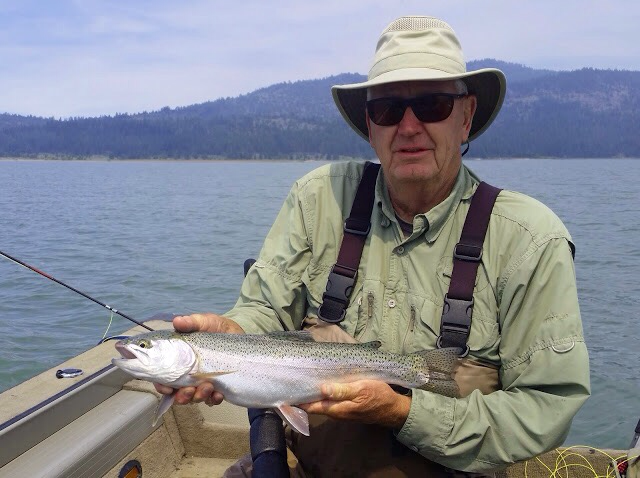 Webber Lake was once renowned for big trout (privately stocked), but it is now a put-and-take fishery with a few holdovers (standard trout fishing regulations). The lake so far has no milfoil (boats and float tubes must be “certified” by staff). It has nice pond weed beds with abundant red shiners. It is a relatively small but deep (> 40’). The lake and valley are very quiet and pristine. Eagles, osprey, terns, and cranes are common. 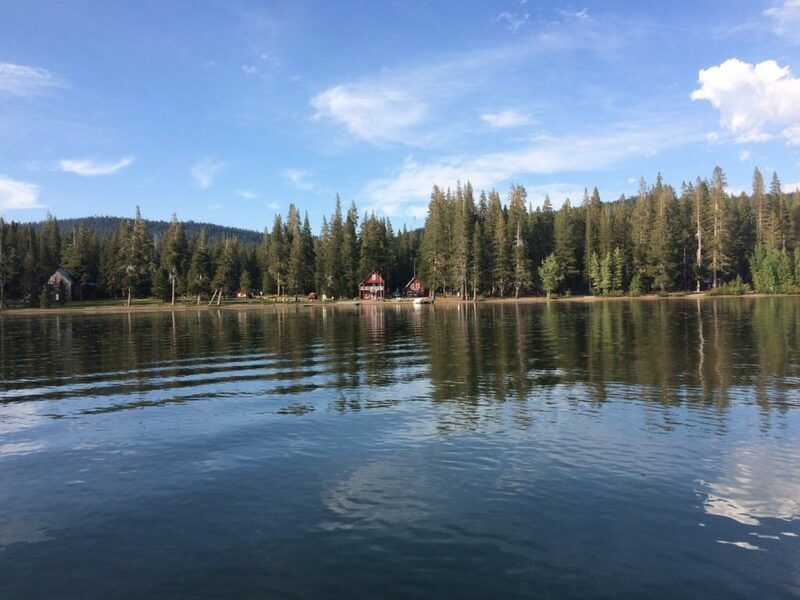 The lake is situated off Hwy 89 on the way to Portola in a serene mountain valley. The adjacent mountains still have late summer patches of snow. 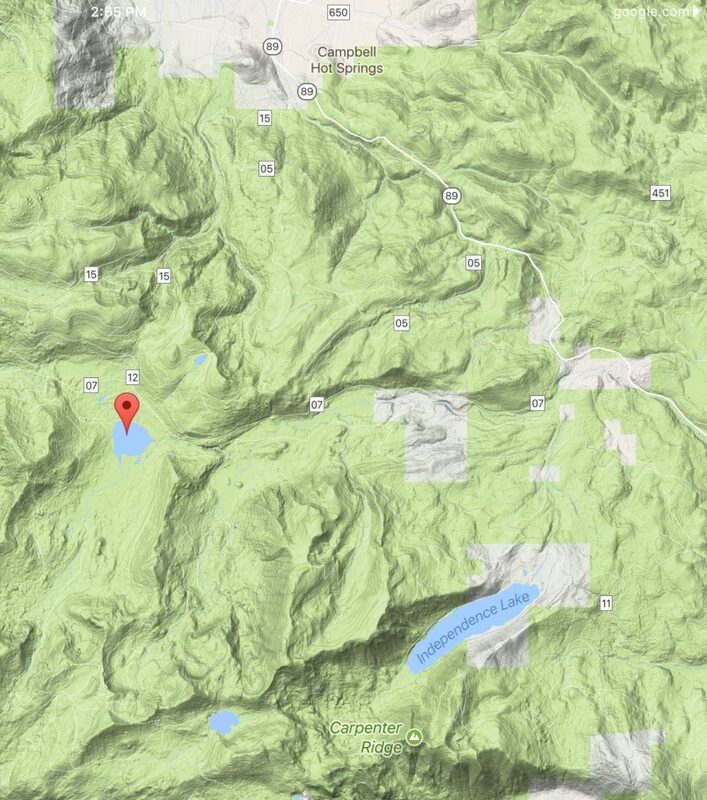 It has a nice campground ($30; 35 widely spaced sites in woods next to lake) and day-use parking area (no fee). An RV camp will open next year. 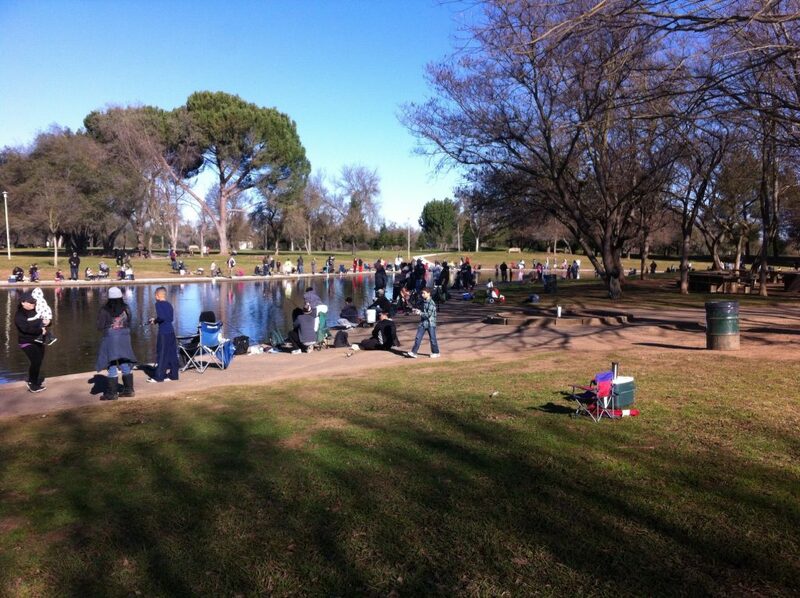 The fishery is now managed by CDFW with mostly small 8-inch planter rainbow trout and holdovers from prior years’ stocking. I have not heard of any recent catches of browns or brookies, though in the past both were commonly stocked. Natural spawning creeks that can support wild trout flow into the lake. It is sad to see this natural gem managed as another put-and-take trout lake like most of its neighbors (Davis, Frenchman, Gold, Boca, and Stampede, etc.). 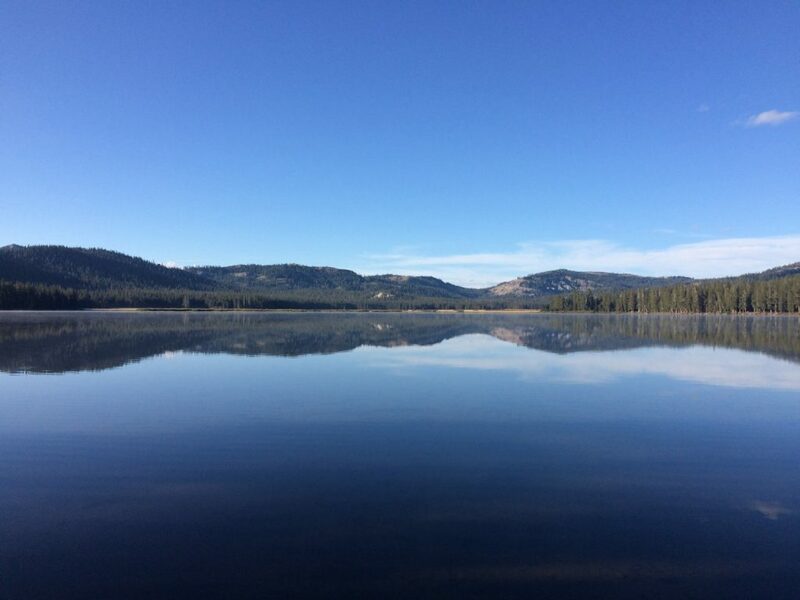 It could be managed as a wild trout lake, on the model that the Nature Conservancy now manages nearby Independence Lake.2 DFW has recently started stocking Webber Lake with Lahontan cutthroat, the native trout of the Truckee watershed. This suggests that management of the lake for wild native trout might be considered in the future.